Shari is one of my BFFs (Blog Frog Friends) and she is such a great friend to have! She is my last guest blogger for the month of June. Take it away, Shari! Summer is here and the kids are home for those long lazy days of fun, sleeping in and later nights. Wouldn’t it be great to be a kid again?! I love to have my kids home during the Summer, but it doesn’t take long before the “I’m bored” words come rolling off there tongues and into my ears! So be sure to PLAN some fun and be prepared! I am a total believer in letting our kids be “bored”. I think it is an opportunity for them to be using their brains to find something to do other than sit in front of the TV or Computer or Game Consoles. Yet even kids need some ideas for fun. What do your kids “like” to do? What do they “hate” to do? – I mean, why waste your time with things they hate! What would you like to see them accomplish this summer? — It’s ok to have some goals in the Summer – My kids are going to learn meal planning and then shop for that meal. How late will you let them stay up? How late will you let them sleep in? How many sleepovers will they be allowed to do in one week? What chores will be expected now that the kids have more time on their hands? – This can be fun! Mine are going to cook! If you have little ones at home, make sure you are realistic about how many times a week you can be out of the house or have company over without over exhausting them. So now that you have the framework of the important stuff…because of course our house still needs to run smoothly..start making a list of fun stuff to do! YAY! The “I’m bored” list. Kathy Peels Family Manager free downloads: Hundreds of fun ideas!! 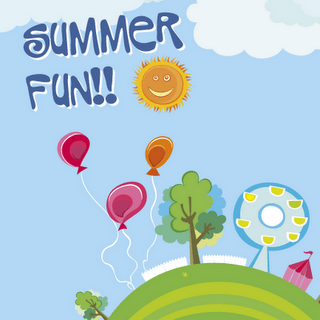 Make Summer Count Activity Calendar: Over 60 Activities to help you impart spiritual truths over the Summer. Free Ant Pre School Activities – 2 Teaching Mommies is giving you a free download with the Theme of Ants with TONS of activities!! CUTE! Well, these are just a few ideas to get you started. Hope you have a great and awesome time with your kids or grandkids this summer!! Thank you, Shari, for being my guest today! I like the Kathy Peels Family Manager. Even with all adults there's lots of managing to be done in the summer months. My recent post The Most Deelish Homemade Waffles!